When building your lead capture page or optin page there are a number of factors that you can go over to help you create what should be a high converting page. By high converting I mean you produce more leads then you normally would from the traffic you are sending to it. In this article I will go over a number of those key features that when followed will get you on the right track to building a quality lead capture page in not time. Before we get started I wanted to mention that I use ClickFunnels for building out all of my lead capture pages and more. You can click here to start your 14 day trial with ClickFunnels. (They also provide a number of optin page templates but also have a marketplace where you can buy more templates to use with your account for optin pages) If that is not your cup of tea you also have the option to use their optin page builder and create your own. 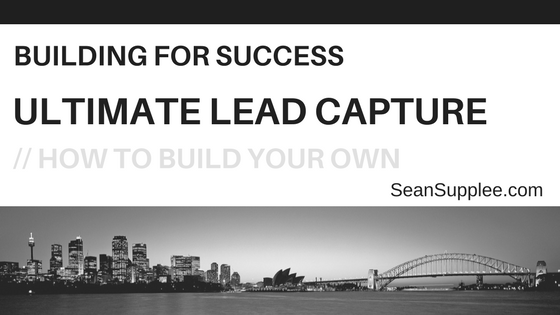 Alright so what does your lead capture need to become a lead magnet? Your headline and sub headline need to target your audience you are promoting to and offer just enough information for them to put in their email/phone number to get more information. Example 1: At Last! Here is the Proven Coaching Pro Report Authors use to Quickly Create Their Own Funnel … Guaranteed! Example 2: How To Create Your Own Funel In 14 Days… even if you Never Built A Funnel Before! Now that you have them interested you need to make it clear what action they need to take next. What is that next step? Simply to fill out the form and click the submit button. Tip 1 – Make your lead capture page as short as possible. The more information you request upfront the worse your conversion rate will be. Email is the highest converting while phone number has a drastic impact on conversion rates. Tip 2 – Add an arrow and tell them to fill in the form below/to right or left etc. Providing clear instructions is key to increasing conversion rates. Never assume your visitor knows what to do. We as humans are brought up by taking directions step 1 do this, step 2 do that etc. Use this to your advantage. Depending on your goal will greatly depend on your target audience and what you want to accomplish. 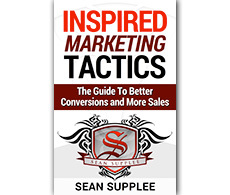 Example 1: If your main goal is to get as many leads as possible in a niche then provide a free report/video going over a few of the most common questions. It should be rather general in terms of information to try to gather as many leads. Example 2: If you are looking for more targeted leads then your bribe will be targeted to that specific type of lead you are looking for. For example it might be narrowed down to women or men, age, interest etc. Targeted leads allow you to build a higher value product that directly caters to that specific type of person thus increasing product value and quality information. Now get out there and start building your perfect lead capture page with Click Funnels optin page creator. This is awesome. I will pt it to use. Thanks Sean.